From Scott Epstein the Editor and Publisher of the PulpCorner.com. My opinions are solely my own. I still remember reading David Perlmutter’s first submission to the Pulp Corner. (Note—there is another David Perlmutter—a nutritionist—publishing books. His are science books, not science fiction. Just so there’s no confusion…) I was struck by his story’s inventiveness—using (and re-making) cartoon conventions. Also David ’s pacing and rhythm are fantastic. So when he came to me with a whole bunch of stories it made sense to me to gather them into a story collections—and that collection turned out to be the size of an entire book. 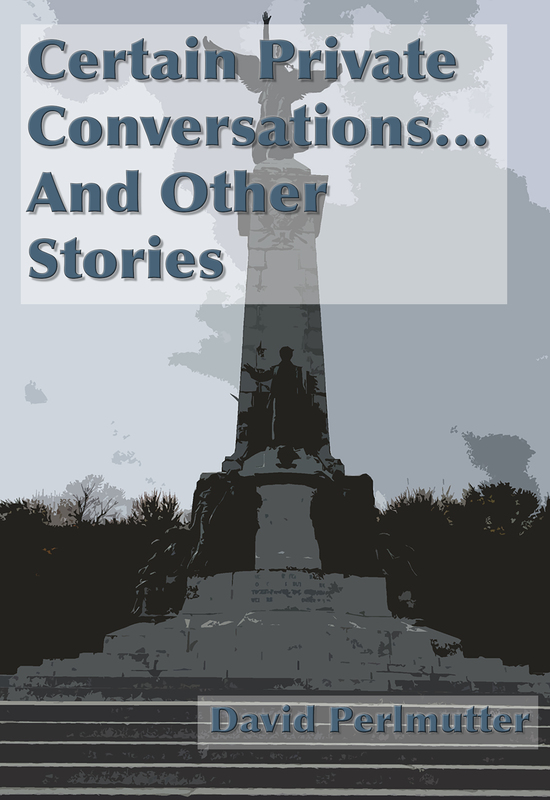 So with Certain Private Conversations… And Other Stories we produced our first full book. Available on Kindle; available on iTunes. I've consumed science fiction for as long as I can remember. I've written it since age 8. I founded and edited Proteus Continuum, a Science Fiction magazine, at Tufts University from 1990-1992. Professionally, I've worked in professional publishing for more than 17 years, in both editorial and marketing functions.